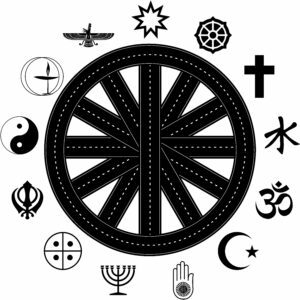 Last month here at Gibraltar Nursing Home, we celebrated World Religion Day which calls for acceptance of all religions and were reminded of the comfort that it brings to many of the people living with us. Religion can be contentious for some, so acceptance of others’ beliefs is vital if we are to live together in harmony. Gibraltar have a policy of total acceptance, whatever a person’s beliefs. Carol has been living at Gibraltar Nursing Home since 2012 and is a practicing Catholic. “If you have to live in a home, this is a good home to live in” Carol says with a smile. When talking with Carol you can see how important the communion is to her, Father Nicholas visiting regularly keeps connected to her faith. Gibraltar Nursing Home supports and follows the message of World Religion Day, encouraging family members of all religions to continue partaking in their faith in the comfort of their home.